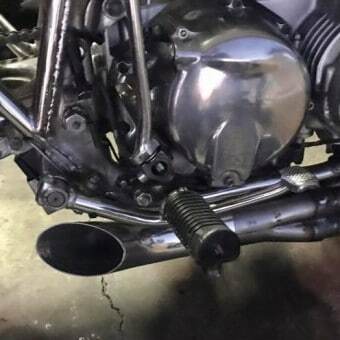 Pleased to announce a New style of 4 into 1 system for the good old Honda inline Four CB500 and the CB550, something I am happy to offer and many people asked me about. 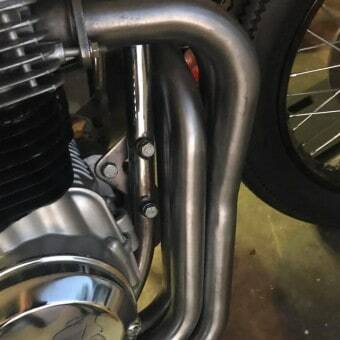 So I went about and got it sorted, I have the prototype done and now going into production with these as I type this little write up. 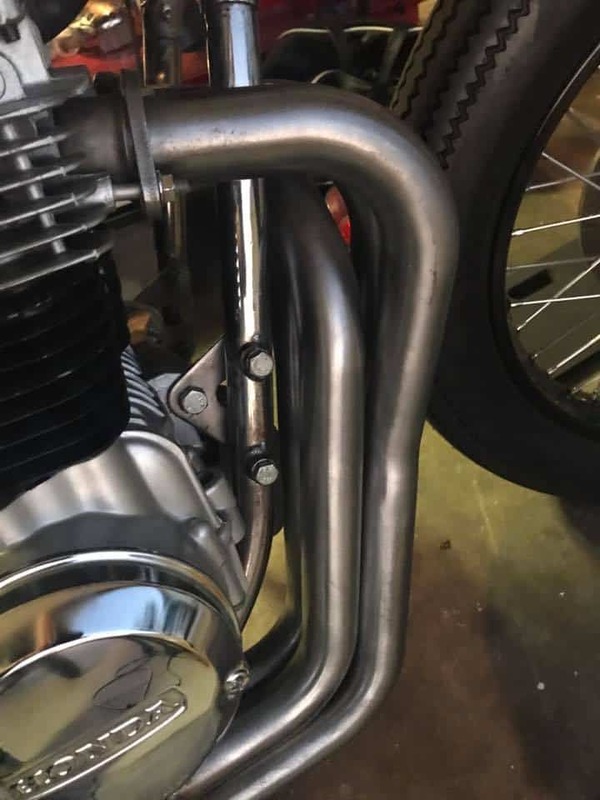 I am stoked to be able to offer you these systems soon and boy do they sound great, fit well and of course, Perform all the way through the range of motion. 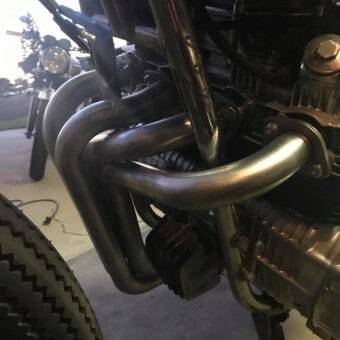 These are a little Powerhouse and I know you will enjoy this special system that will be made on Million Dollar tune bending machines and quality all the way with these. 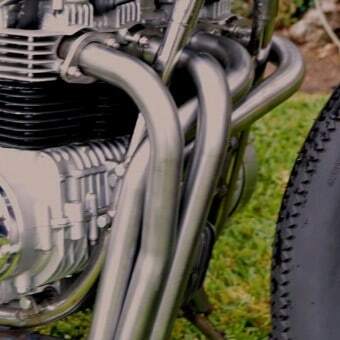 Here is the other thing, these are not made over sea’s, these are made here in the USA and am proud to offer that, I am a small business and I help other local businesses, thats what keeps us all going and pleased to offer you all my USA made parts. 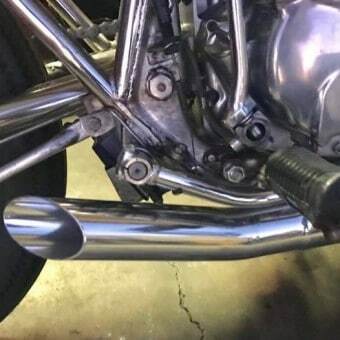 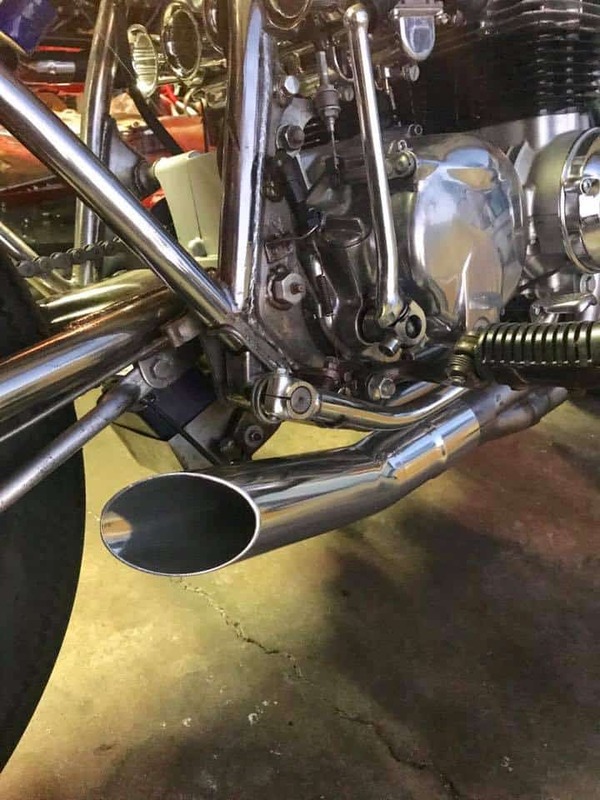 Below is the sidewinder fitted, I only plopped the baffle in as I will be Nickel plating that one, so as I revved it , the Baffle shot out, LOL, but you can hear what its like with no baffle, this exhaust does come with a baffle by the way and you can either Rivet it in place, or ue machine screws, your call. 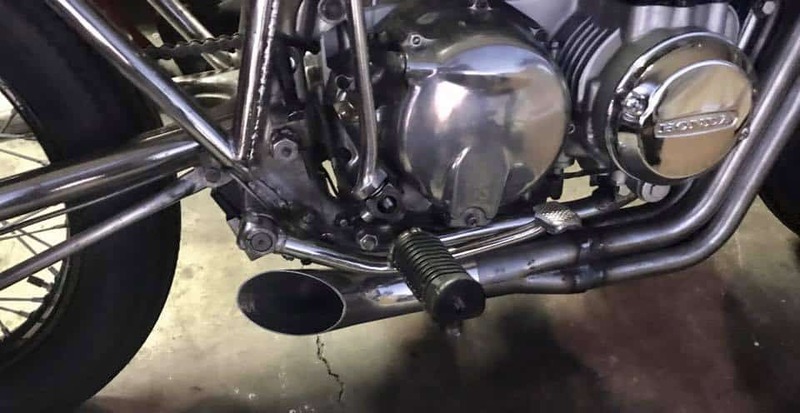 The Baffle does not have packing as I like it that way but, you can add glass fiber packing or steel wool if you wanted to muffle it more, but I doubt yu will as this is a crisp sound that many like. 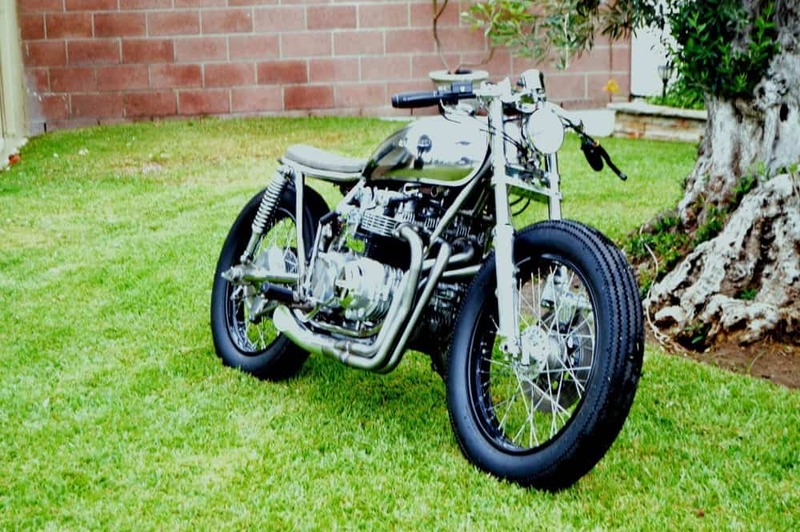 I also offer this with 2 different tail section options, there is the Razor and the Hot Rod, you decide, below is the Razor, thats slash cut and shorter than the up sweep but a cool custom look. 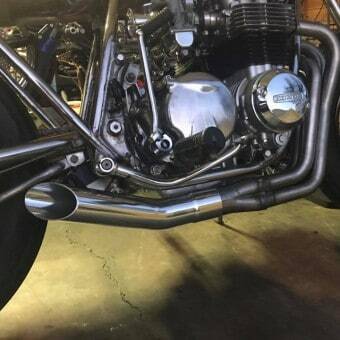 A very popular set up and easy to attach to your inline four bike, it is also louder than the up sweep tail pipe. 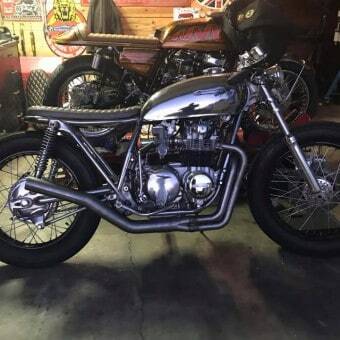 Below is the Hot Rod, this is a cool Turn out for that Old school style, something I am passionate about and I am stoked to offer this option too. 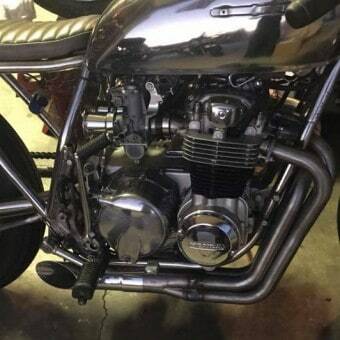 Its a great set up and I make that for the 750 too but as you can see on this 550-4 it is a nice and tight set up and gives the ride a beefier look I think, hope that you like this as well. 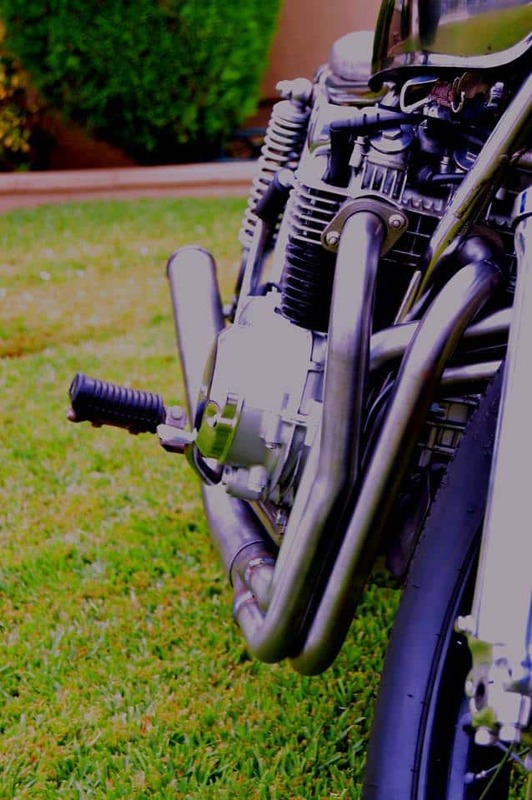 Take a look at some of the pics of the styles and make your own mind up, I enjoy what I do and like the feedback I am receiving. 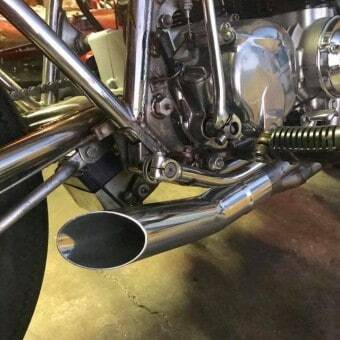 Let me know your thoughts carpy@carpyscaferacers.com as input is so important from potential customers. 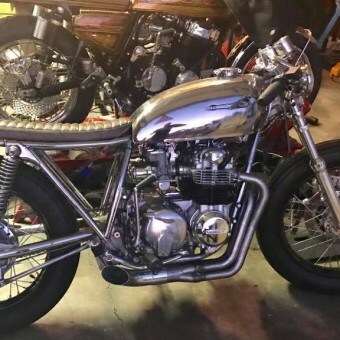 Here are a few pics for you to have a go through to see if you like any of the models shown for your CB500 or CB550 Four Motorcycle, thanks for taking your time to read this today. 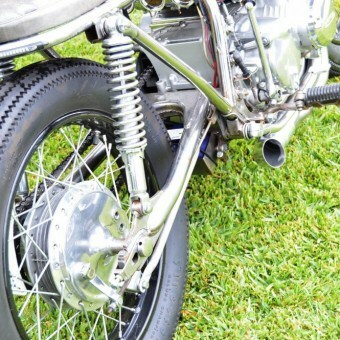 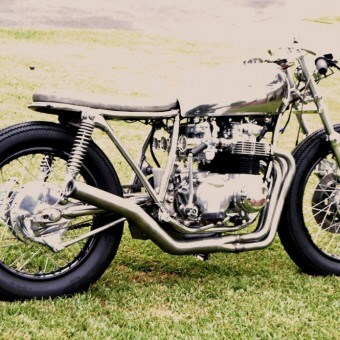 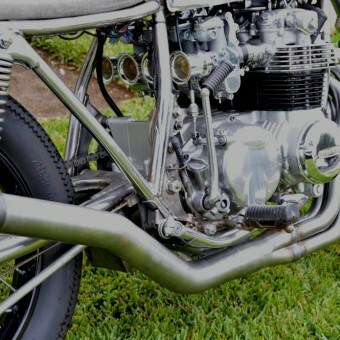 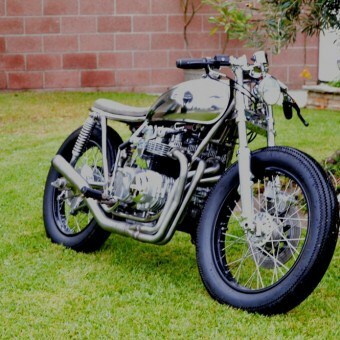 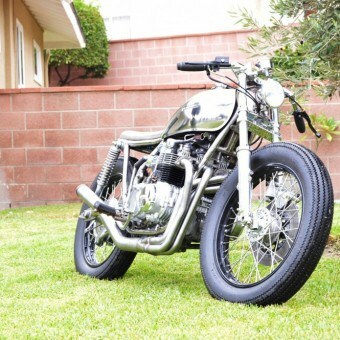 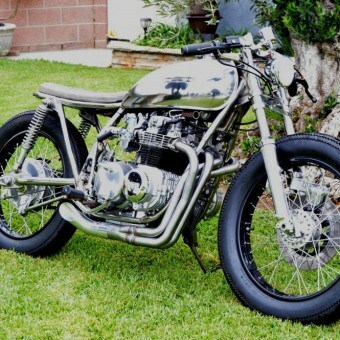 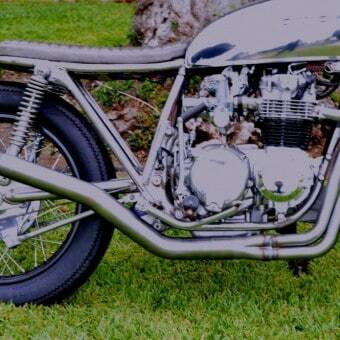 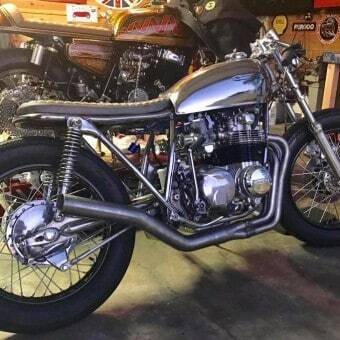 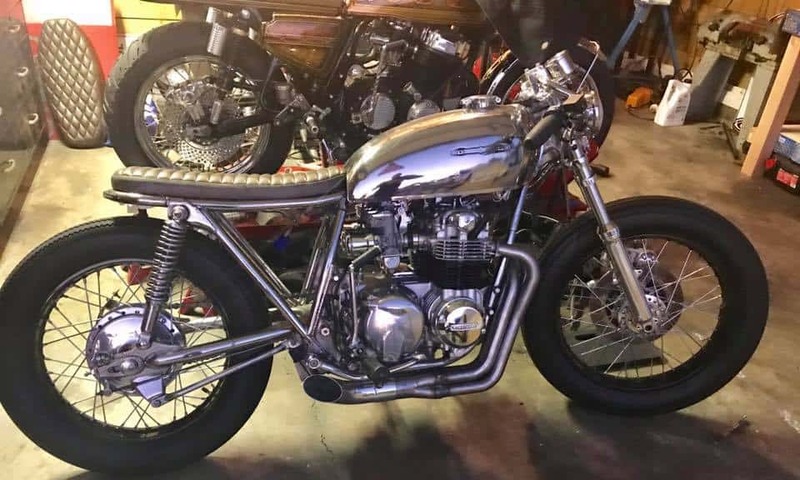 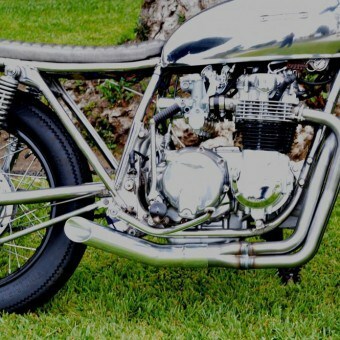 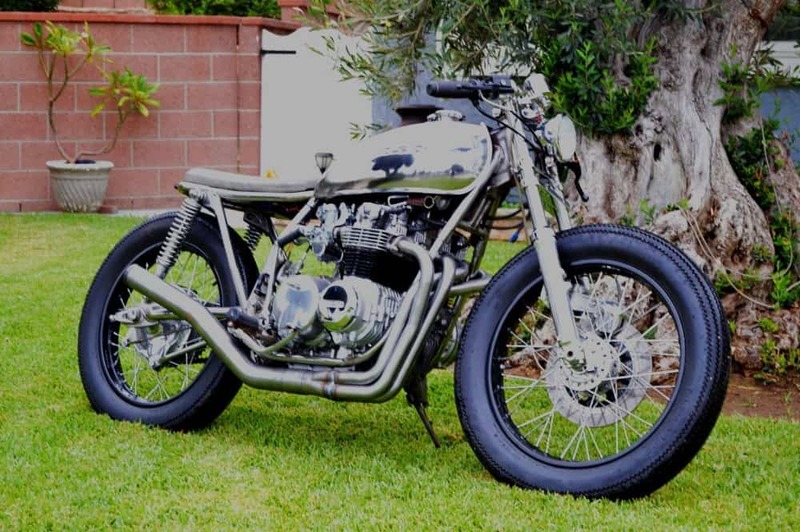 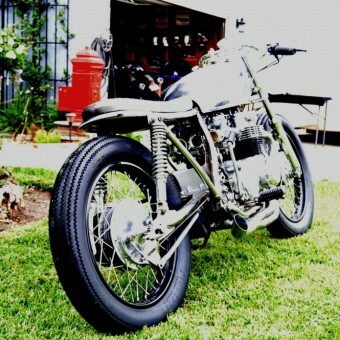 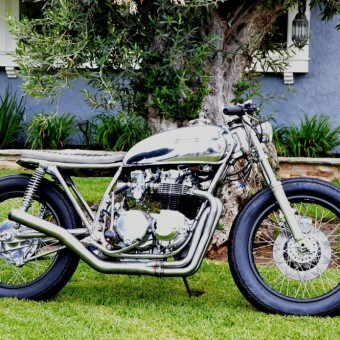 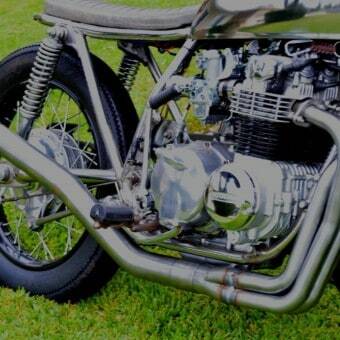 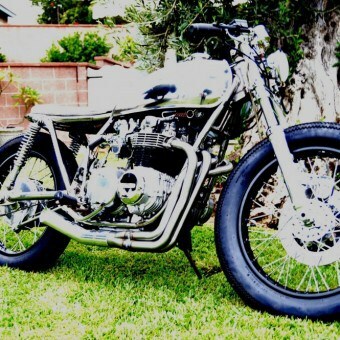 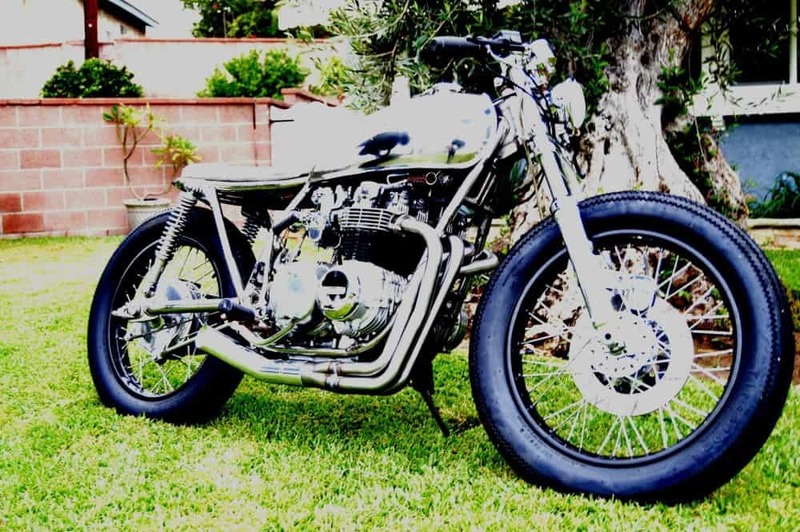 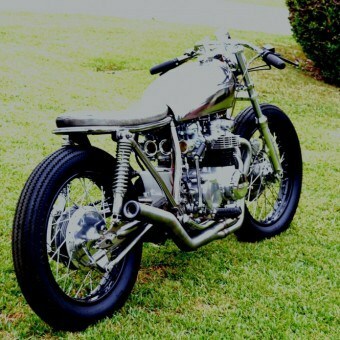 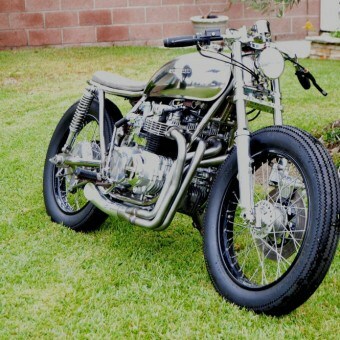 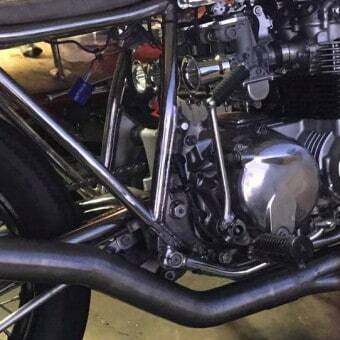 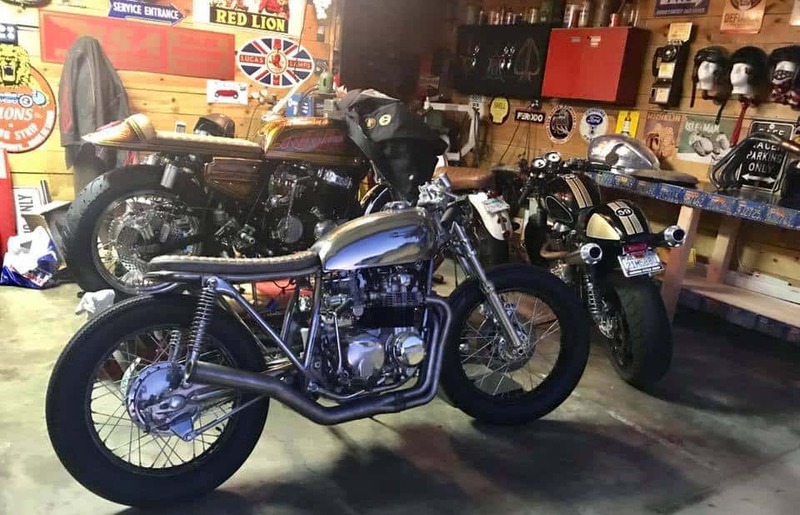 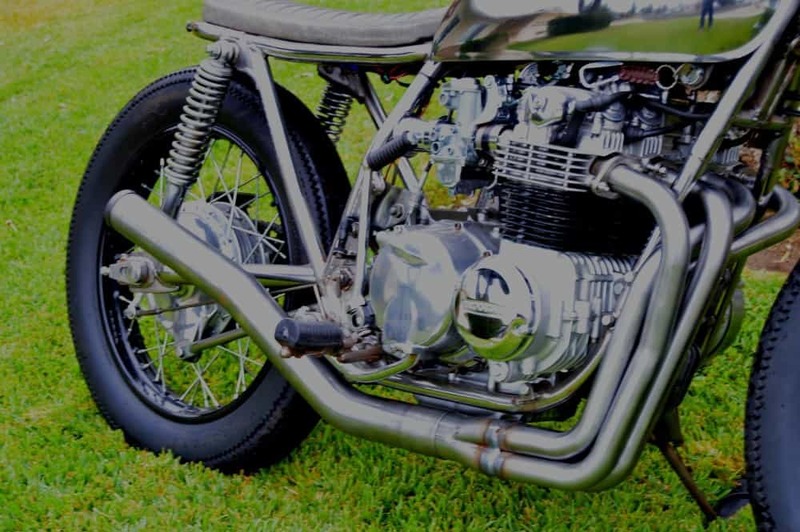 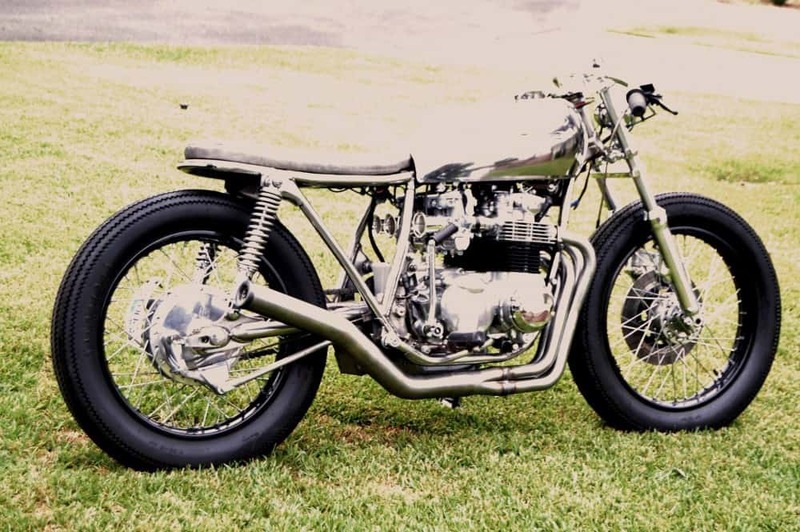 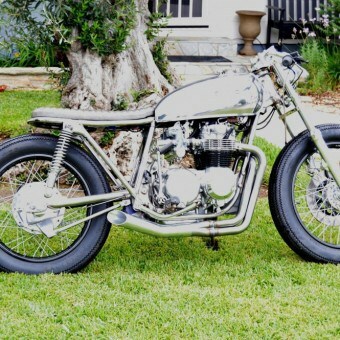 This entry was posted in Blog, For Sale and tagged 4 into 1, brat, cafe racer, Cafe Racer parts, carpy, CB500, cb550, custom, Custom pipes, drag, Exhaust, garage built, Honda, hot rod, performance exhaust, Razor, Shed built, Shorty, steel, Turn out, yoshimura.